Through our international grants programs, we fund environmental work that takes place within the following countries: Canada, Chile, Argentina, Japan, Korea, Australia, United Kingdom, Ireland, Norway, Sweden, Denmark, The Netherlands, Belgium, Luxembourg, Germany, France, Spain, Italy, Switzerland, Austria and the Czech Republic . As with all Patagonia grants programs, our International Grants Programs support small, grassroots, activist organizations with provocative direct-action agendas, working strategically on multi-pronged campaigns to preserve and protect our environment. We are most interested in making international grants to organizations that identify and work on the root causes of problems and approach issues with a commitment to long-term change. Your organization must have charitable status in the country in which your organization is located, or have a fiscal sponsor with such status. 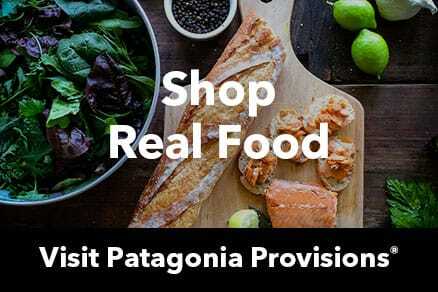 Please note that Patagonia does not require international organizations to have U.S. 501(c)(3) status or a fiscal sponsor with 501(c)(3) status. Patagonia is unable to fund lobbying through our international grants program. Patagonia grant funds cannot not be used to carry on propaganda or to attempt to influence specific legislation, either by direct or grassroots lobbying. Patagonia grant funds cannot be used to participate or intervene in any campaign (including the publishing or distribution of statements) on behalf of or in opposition to any candidate for public office; or to fund any specific voter registration drive conducted in a manner that favors a particular candidate or slate of candidates. You can use funds to educate the public on issues. You can do general voter registration work that is not favoring one candidate over the other. Patagonia is unable to fund US-based activities through our international grants program. All proposed activities must be conducted outside of the United States. Patagonia grant funds cannot be used to travel to a U.S. conference or to conduct programmatic activity that takes place in the United States. US-based organizations that do work internationally are eligible for our international grants programs, but all programs and activities must take place outside the United States. Patagonia is unable to fund capital expenses through our international grants program. Patagonia grant funds cannot be used to purchase buildings, land, vehicles, or boats. Improvements such as repairs, remodels, renovations, etc. are also unallowable. If you are unsure whether or not an activity is permissible within our international grants program, please reach out to our grants team at grants@patagonia.com. We accept one proposal per group per our fiscal year (May 1 - April 30). Deadlines and typical funding amounts vary from region to region. Please review the country-specific information below to learn more about the international program to which you are applying. The Europe Grants Program has two deadlines each year: January 31st and June 30th. Please visit our Europe Grants webpage to learn more about the program and how to apply. The Japan Grants Program has two deadlines each year: April 30th and August 31st. Please visit our Japan Grants webpage to learn more about the program and how to apply. The Latin America Grants Program has two deadlines each year: April 30th and August 31st. The funding range for a Latin America grant is typically between $8,000 and $12,000, depending on the specific needs of the project. Please note that at this time, we have Latin America grants programs established in only Chile and Argentina. To begin the application process for work taking place in Chile or Argentina, click “Apply Now” below to take the eligibility quiz and find out if your work fits within our guidelines. If your work is eligible, you will then be directed to the Latin America grant application form. The Canada Corporate Grants Program has two deadlines each year: April 30th and August 31st. The funding range for a Canada corporate grant is typically between $10,000 and $20,000, depending on the specific needs of the project. To begin the Canada Corporate grants application process, click “Apply Now” below to take the eligibility quiz and find out if your work fits within our guidelines. If your work is eligible, you will then be directed to the Canada Corporate grant application form. The Canada Retail Grants Program accepts applications on a rolling basis throughout the fiscal year. The funding range for a Canada retail grant is typically between $8,000 and $12,000, depending on the specific needs of the project. If you are located near our Vancouver or Toronto retail stores and would like to know when the next round of grants funding will take place, please call your local store and ask to speak with their environmental point person about the grants timeline and application due dates for their store. To begin the retail grants application process for work near Vancouver or Toronto, click “Apply Now” below to take the eligibility quiz and find out if your work fits within our guidelines. If your work is eligible, you will then be directed to the Canada Retail grant application form. The Australia Grants Program has one deadline each year: August 31st. Please visit our Australia Grants webpage to learn more about the program and how to apply. The Korea Grants Program has one deadline each year: January 31st. Please visit our Korea Grants webpage to learn more about the program and how to apply. To begin the international grants application process for regions with upcoming deadlines, click “Apply Now” to take the eligibility quiz and find out if your work fits within our guidelines. For additional questions related to what is a fit for the Patagonia International Grants Program, please refer to the Patagonia Grants Program general guidelines. All general program guidelines are applicable to the Corporate Grants Program.